This is a rectangular Orange County Ice Cream porcelain sign. This particular Orange County Ice Cream sign is navy with white text. 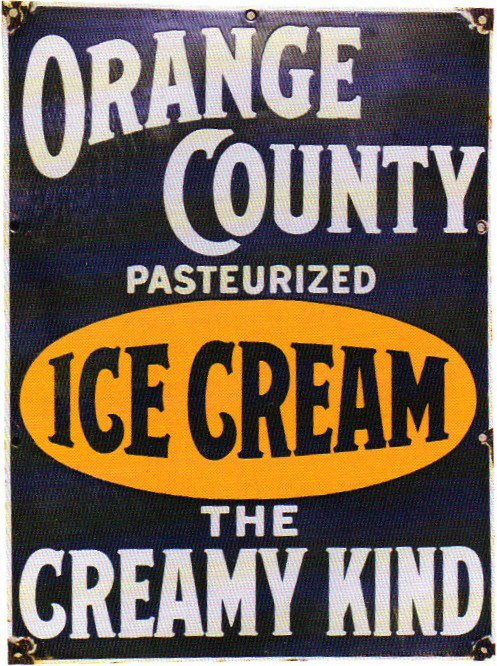 It reads, “Orange County Pasteurized Ice Cream, The Creamy Kind” and features a yellow oval in the center.